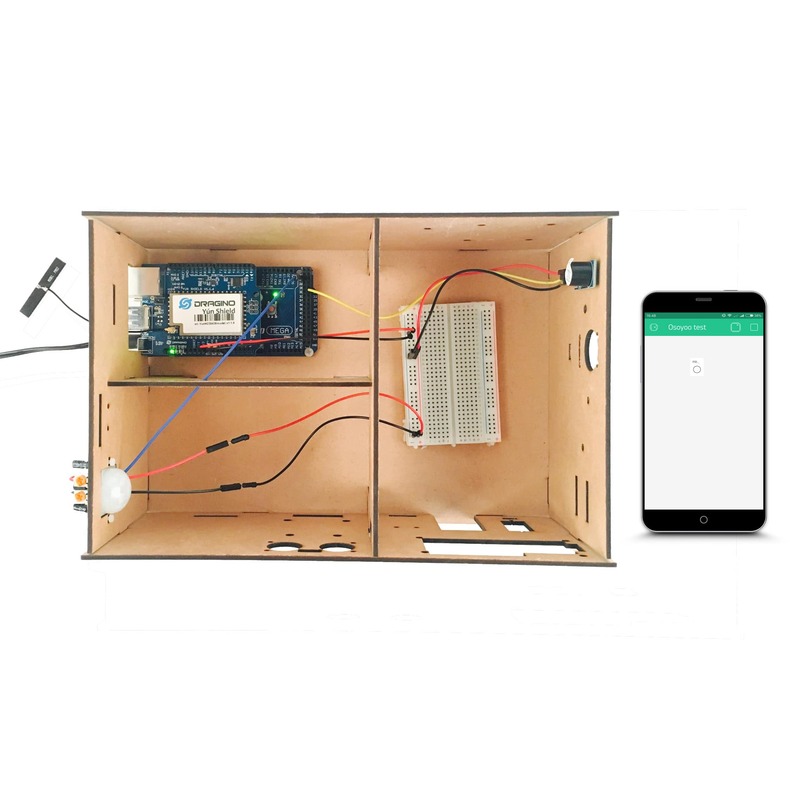 In this lesson, we will show how to use the Osoyoo Yun IoT Kit to analog home burglar system. 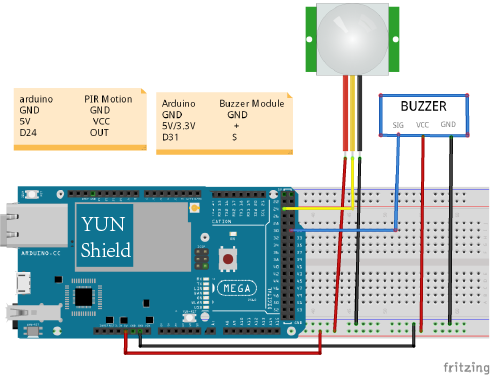 Here we connect the PIR motion sensor Pin OUT to Arduino digital Pin D24, connect the buzzer I/O Pin to arduino digital pin D31. 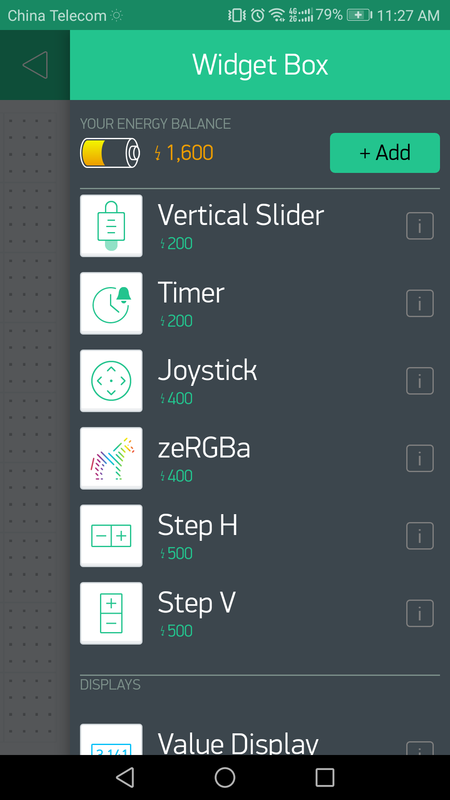 Widget Settings – Each Widget has it’s own settings. Tap on the widget to get to them. The most important parameter to set is PIN. Connect the LED wiget to V1. 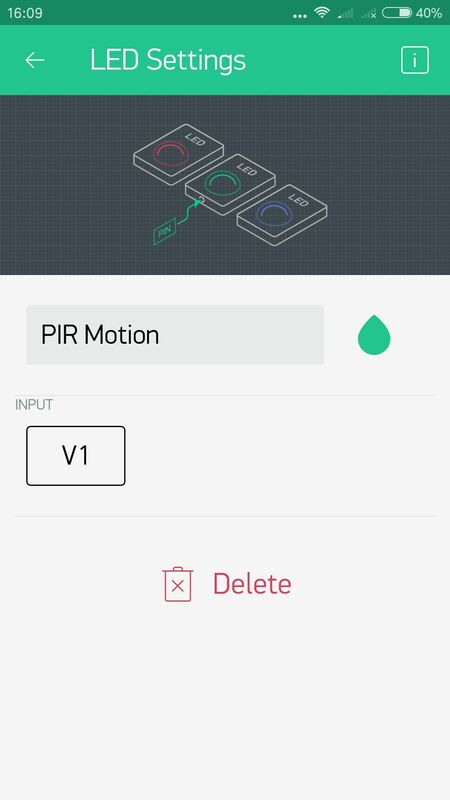 When you use one hand close to the PIR motion sensor,the buzzer will be activated and the LED on the phone will be lit. Now you’ve learned how to make a simple family burglar system through this experiment, and it can also be used as a home lighting control system.